Are you planning for a holiday trip? Searching for best tourism destination spot? Well, it is suggested to visit Hong Kong to make your trip memorable and enjoyable. Nationals of some countries who would like to visit Hong Kong for a period of 14 days need not apply for Hong Kong tourist visa or Hong Kong tourist visa for instance, Indians are allowed for visa free travel to Hong Kong for a 14 day period. 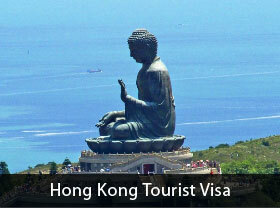 If people wish to visit Hong Kong beyond the free period of 14 days they should apply for Hong Kong tourist visa. The tourism industry in Hong Kong plays a key role in the country’s economic development. The number of visitors from various countries is visiting Hong Kong for the purpose of sightseeing. Hong Kong tourism together with financial services and global trade are the major sources of earnings to the country. Individuals in order to obtain Hong Kong tourist visa should meet the following requirements. Applicants must have enough funds to meet their daily expenses during their stay in Hong Kong. Applicants must hold return tickets to their native land from Hong Kong. Hong Kong tourist visa holders are not allowed to undertake any paid and unpaid job offer. Applicants should not start or engage in any of the business activities under Hong Kong tourist visa. Applicants are not allowed to take up any academic courses or join in universities or colleges in Hong Kong. Individuals who have fulfilled the requirements are eligible to apply for a Hong Kong tourist visa. They should fill the Hong Kong tourist visa application form very carefully with genuine details and after that application form will be submitted to the embassy. Applicants are called for the visa interview along with the documents for further process. After the successful completion of all formalities, Hong Kong visit visa will be issued. For more information please fill out Morevisas Enquiry form, and also follow us @ Facebook, Twitter, Google+. ← What are the Requirements to Process US F1 visa ?